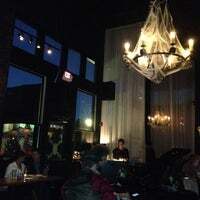 Great live music happens nightly for dinner. The "Italchos" sound odd but are amazing appetizers. Try the Osso Bucco if you're hungry - it's fantastic. The rooftop patio is perfect setting for drinks. 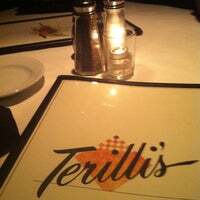 A great place to celebrate a special occasion or to just enjoy a wonderful lunch or dinner. Love the pasta and salads. 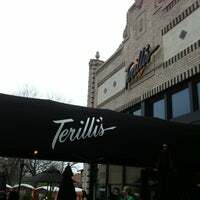 Never had brunch here but decided to branch out! Bloody Mary's were pretty good also ordered the spinach feta omelet, not bad. They will serve you blueberry muffins with strawberry butter...delicious! Their Espresso Martini is hands-down the best I've ever had in my life. The italchos (keep it simple and just add some basil) and chicken scampi are the best menu items I've tried so far. Beautiful ambiance, especially if you get a spot on the rooftop. The food is wonderful and particularly excited that I've found one of the best 'Moscow Mule's in the city! Amazing food. But beware of the girl singing thursday nights, show up after 9 pm so you dont have to listen to her beat a bag of cats with a baseball bat. 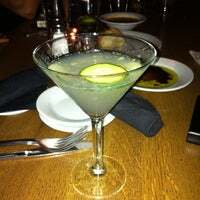 Awesome martinis, try them all! Very tasty food but a tad expensive. Go for lunch for some great deals. Lyndsey Jones sings every other Thursday and various other nights. She's the absolute best singer and pianist around Dallas. Call ahead to see if she's there! 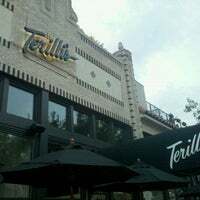 Recommend the calamari frita and the italchos with roasted garlic, Italian sausage, green onions, and gorgonzola cream. Yum! The fried Calamari is the best you'll have anywhere in the world. I speak the truth! Don't bother with the deal advertised for 50% off they do not honor it been here 3 times. Other than that love the food!! And service is great. The chicken ravioli is from frozen at least... just in case you were expecting made in house. 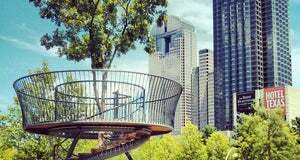 Class Dallas Italian restaurant with a fabulous rooftop bar. They have gluten free pasta. Lasagna did not disappoint! Rich, tasty red sauce mmmmm! 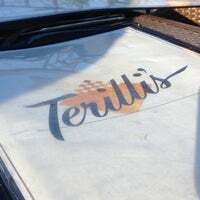 Terilli's. Six weeks to work out the kinks. At the rate they are going, give them about five years. A cosy nice Italian restaurant! Must try!! 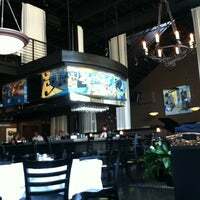 The atmosphere is usually pretty relaxed and is certainly enhanced with a plate of their famous Italian nachos. Shannon is the best waitress ever! Come here & ask for her! Love her!! You have to try the Italchos and the grilled sea bass is awesome! Italchos were amazing. Great monday date night with all day happy hour. 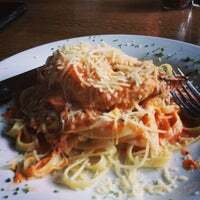 The meat lasagna is delicious but come with an empty stomach. The Italian nachos were amazing! 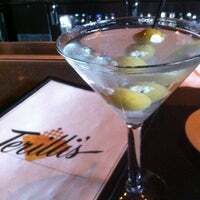 Drink the Velvetini, eat as many italchos as u can and the warm pasta salad. Italchos with sun-dried tomatoes, goat cheese, jalapeños and artichokes! Yummy! If you don't get the cream of jalapeño soup you should be arrested. I could eat Italchos every day and never get tired of them! Gluten free pasta was very good! 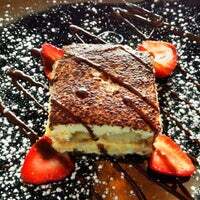 Best Tiramisu I've ever had!!!! The Chicken Picacca in the best..
Get the Italian nachos!!! & Brie plate! Get the iltalchos - delicious. Crab claws are always great! If you like Tequila, order the "Smooth Talker". 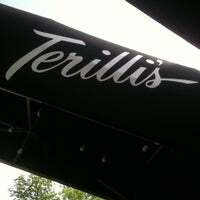 For 25 years, Terilli's has been attracting savvy diners interested in great food and live music. "Fish, clams and mussels always tasty. Great sauce and pizza as well. 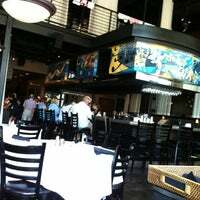 Beer and wine only"
"Delightful ambiance, staff and FOOD! Recommend the black truffle pasta dish. Also have an amazing montepulciano." 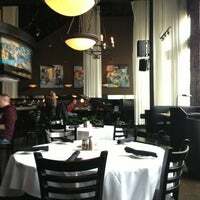 "Great spot for lunch: get the Urbano club or pumpkin ravioli!" "Brunch is fantastic! 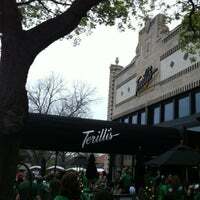 my fav patio in dallas! Great drink specials $3 mimosas, basically champagne, $4 bloody mary's w/ and delicious spices. BBQ shrimp is great! attentive, friendly service." 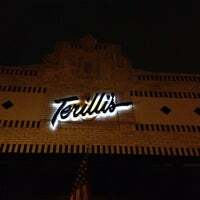 "Some of the best prices on Irish Whiskey  and Scotch Whisky in Dallas! Drink them neat, not with ice. Midleton Very Rare is great at $17. Bushmills 16 for 8.50 is a deal too! 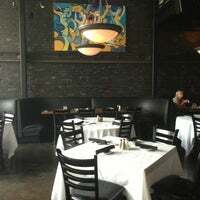 Lagavulin 16 for $9 is "
"Great music, nice staff, and underrated food. Pizza is yum"